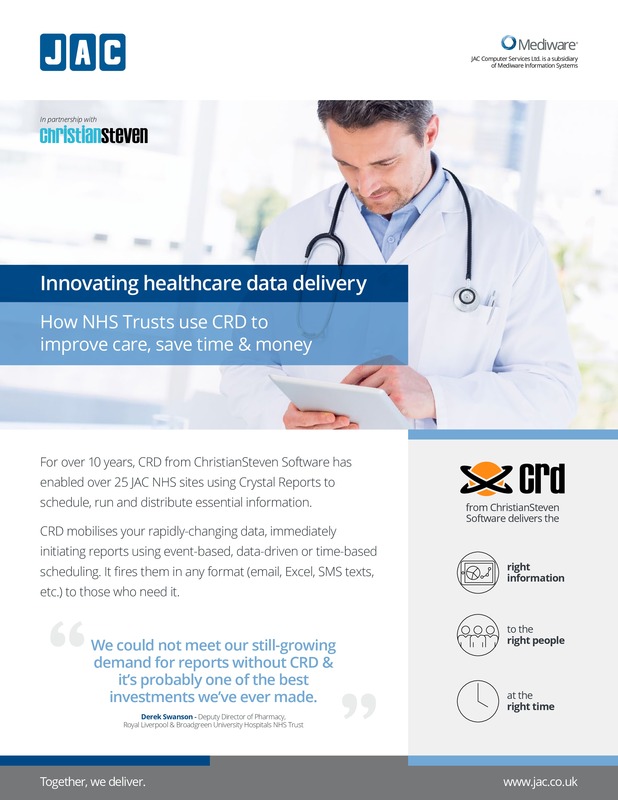 For over 10 years, CRD from ChristianSteven Software has enabled over 25 JAC NHS sites using Crystal Reports to schedule, run and distribute essential information. CRD mobilises your rapidly-changing data, immediately initiating reports using event-based, data-driven or time-based scheduling. It fires them in any format (email, Excel, SMS texts, etc.) to those who need it.